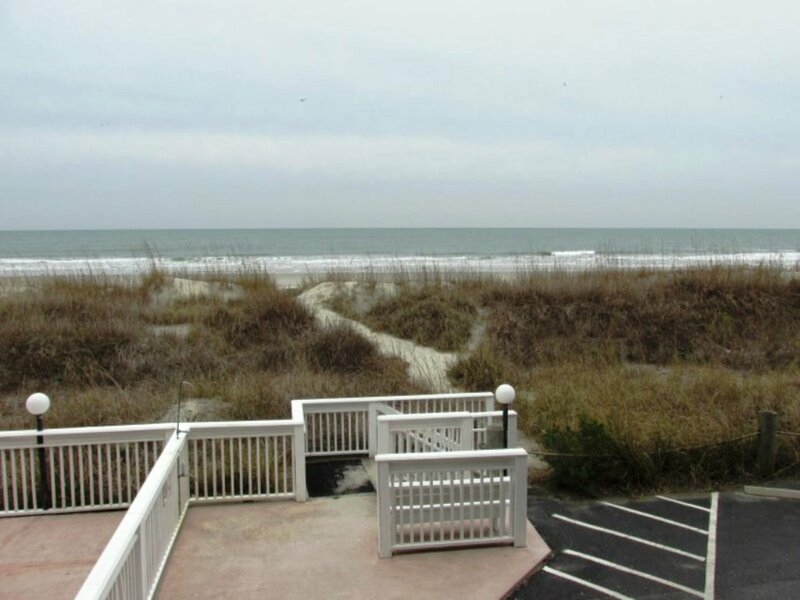 Able to sleep up to six, this two bedroom, two bath condominium is an ideal vacation property for families visiting North Myrtle Beach. Offering ample space to spread out, the parents can sleep in the master with its king size bed while the kids sleep comfortably in the smaller bedroom with two twin beds. Additional sleep accommodations are also possible in its spacious living room. Keeping with its oceanfront theme, its décor features soft blue walls, wicker furniture and sea shell lamps. Central air conditioning along with large windows and ceiling fans will keep the place cool on those hot South Carolina days. Also equipped with a fully functional kitchen with a standard size stove, refrigerator, microwave and dishwasher, you can cook a complete meal at your vacation home and avoid the high cost of eating out. It even has a Keurig brewing system so you don’t miss out on your morning cup of coffee. A great place to relax and unwind, this condominium provides breathtaking views of the Atlantic Ocean that can be enjoyed from almost any room. Just steps away from the beach, you’ll be able to hear the waves crashing and the birds chirping first thing in the morning. When returning from the beach, simply rinse off using the condos convenient outdoor beach shower. Also offering a full-size deck and picnic area, you can enjoy barbecuing and private sunbathing away from other beach goers. This vacation condominium has all of the comforts and conveniences of home.